The sale of Rock Band producer Harmonix by media giant Viacom will affect more than just the music games genre. It turns out Viacom is looking to distance itself from the videogame industry entirely and that puts Jerry Bruckheimer’s production company, Bruckheimer Games, in a pickle. 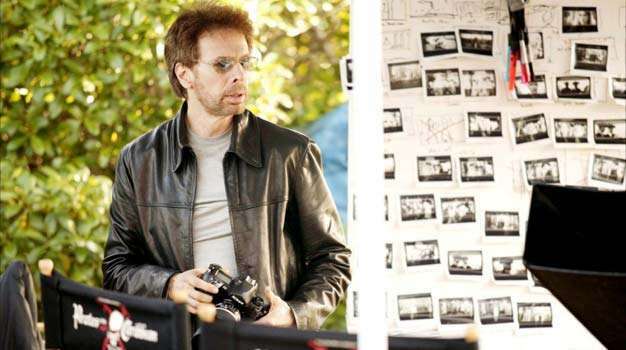 Although Bruckheimer hasn’t developed a single game yet, it’s tough to say he’s not invested in doing so. He’s hired former Ubisoft VP Jay Cohen and Halo 3 executive producer Jim Veevaert in an effort to develop something notable. Unfortunately, with Viacom no longer invested in the business, Bruckheimer’s deal with publisher MTV (a division of Viacom) is on shaky grounds to say the least. Although technically something could still be worked out with MTV, comments by Viacom CEO Philippe Dauman — “The console games business requires an expertise and scale that we don’t have” — suggest that Bruckheimer Games will be looking for a new publisher soon.